Growing up in Canada, I witnessed a change in approach to drinking and driving. As a teenager, I was aware it did happen but for the most part we got around using the bus – as passengers not drivers! I remember being aghast when my country cousins spoke of filing their car with as much gas and booze as they could afford, then drive until they ran out of one or the other. Seemed a really dumb activity to this ‘city’ kid, however we had distractions aplenty which were not so readily available in rural Manitoba. While the laws against drinking and driving became increasingly stringent in Canada, what was more important is the shift in social attitudes. Bars promoted ‘designated drivers’ by providing free non-alcoholic drinks all evening. Services took you and your car home if you drank. Organisations like MADD – Mother’s Against Drunk Driving – pushed to tighten legislation and declared ‘war’ on drinking and driving. 1st offence meant goodbye driving for a year plus a fine. Stupid enough to do it again? Say hello to 2 months jail time and ‘bye bye’ to your license for 2 years. Even stupider to do it yet again? That’s 4 months jail and no driving for 3 years buddy. If you harmed someone while under the influence? Think up to 10 years jail time. And the worst of all, killed someone? You could face a lifetime in prison. The time between offence and sentencing was quick and scope to wiggle out nearly zilch. It is now socially unacceptable to get behind the wheel under the influence. As for me? 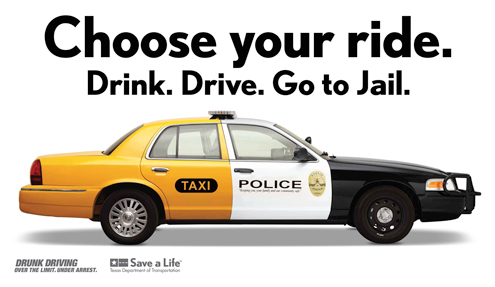 I’ve never been much of a driver and it is inconceivable to consider driving drunk! So imagine my surprise in India where I found quite different attitudes which were rather… um.. relaxed towards drinking and driving. If I’m completely honest, there were times I did not want to get in the car with friends while living in Delhi in 1995-96. However over the years, I’ve witnessed attitudes shift in India too. Folks who did get behind the wheel after a few drinks in 2005, would not today. The laws in India also started tightening in 2012. Aside from fines, you can potentially face imprisonment for 6 months to 4 years however there are loads of caveats, loopholes and the legal machinery moves slowly. However if you are a movie star, run over five people sleeping on the footpath – killing one and injuring the others – then leave the scene in 2002, the situation is a little different. It took until this week (let me count… that’s one, two, three… sheesh 13 years!) to finally convict Salman Khan to five years imprisonment, during which time he made millions making many popular movies. And today? Fans celebrate that his sentence has been suspended while his appeal is being heard. It is possible he many not face any jail time. All I can say is that I hope something good comes from all of this. Maybe rather than blame the most vulnerable for living on the streets, something will be done. Perhaps… just perhaps… a few more attitudes will change and there just might be safer streets. One can always hope and dream. By Carissa Hickling in Every day on May 8, 2015 . It is crazy how long it took in many countries to get stricter when it comes to driving under the influence of alcohol. Salman Khan is a huge celebrity in India. He lives not far from us and the route to his house is currently blocked full of fans and media. He also has a LOT of money to finagle around the legal system. Many of his fans argue that since the accident he has ‘learned his lesson’ and donated millions to various charities and individuals to make up for what happened. But yeah.. 13 years and possibly no jail time despite being convicted. that’s an interesting topic indeed. In Lithuania, quite unfortunately, there’s way too much of road rage and drunk driving, though luckily situation is slowly improving with legislation and fines becoming more severe. While back in the 1990s drunk driving was sort of a matter of the thickness of one’s purse or a question of knowing a right person to help you get out of trouble, it’s not so much anymore, and that is very very good. As for myself, I was brought up with an unbending rule of zero tolerance instilled into me that if I drink, I never drive. So if I do drive this means non-alcoholic drinks for me for the evening or even entire journey or i take taxi/public transportation, etc. Well, while technically I could have a small beer and still have a legal right to drive, I don’t as it does not sit well with my conscience. I just wish sometimes that other people’s parents were so strict and so successful in bringing up their kids in this regards as my own pa was. Traffic in Calcutta late at night in the mid-1990’s was very, very light. 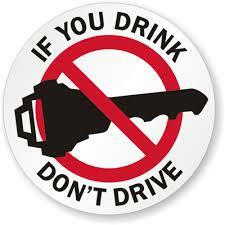 Any cars out there would, I would hazard a guess, have a drunk driver behind the wheel. Red lights ( the few that did exist ) were considered optional, or at best, treated like a flashing yellow is treated in Canada. I was always a sort of off/on drinker and cannot have more than a sip a month now. I was considered a “safe, slightly wimpy” driver…. But you’re right, things have changed a lot in the last 20 years, most people have drivers now. Quite why this moron chose to drive I’m unclear. It is sad to see the fans’ reaction and sadder still to see the wheels of justice, such as they are move, if they do move. As for your various avatars – hard to keep up but ‘Unclejee’ is amusing! I’ve been thinking about this ever since I heard the verdict. While I cheered at the verdict, a part of me was appalled – 5 measly years for 2 lives!! And now he is free…the whole situation would be laughable if it was not so sad! Yeh hai India mere bhai! It’s the whole “Don’t you know who I am” culture in India. Because of this people do illegal things with impunity knowing they don’t have to face the consequences of what they did. However, at times like this I am so glad to have social media in our lives. Atleast now more people are aware and post about these things. When something like this happened some 20 years back, noone even knew about it because it was never reported! You’ve nailed it with the “Don’t you know who I am?” mentality. In a society that is so hierarchical with such extremes in wealth and life choices, those on ‘top’ or close to the top or define themselves as more on top than others,etc take for granted their mantle of ‘superiority’ as a way to get away with impunity practically everything! The court of public opinion can bring judgement – which can also be problematic. Just think – all the fans and folks defending a killer shows social media alone is not necessarily a vehicle for greater justice. Great post! I understand well how you attitude about drink and driving has changed. In Norway, I would NEVER drive and drink or sit in a car where someone that have been drinking is driving. But after moving to other countries, like Nigeria and Bolivia where people drink and drive all the time, and the punishment is not strict as all, I changed with that. But when I go back to Norway, I never do it, and I think I never will!